Dorothy Cowan, 85, passed away at 2:50 a.m. on March 14, 2019 at Vonderlieth Living Center in Mt. Pulaski. 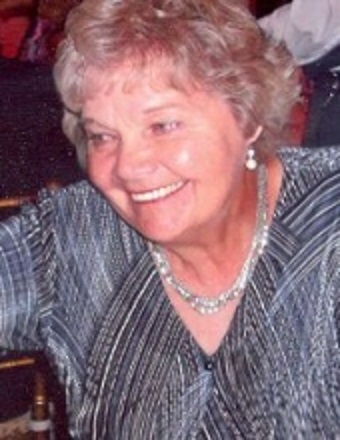 Dorothy was born on June 4, 1933 in Springfield, IL; daughter of Ed and Jean (Merry) Hupp. She married Robert A. "Bob” Cowan Sr. in 1951 in Mechanicsburg, IL. He preceded her in death on January 15, 2017. Surviving are her children: Robert (Nancy) Cowan Jr. of Springfield, IL, Randy (Paula) Cowan of Spaulding, IL, Scott Cowan of Decatur, IL, Michael (Melinda) Cowan of Beason, IL, Wayne (Ann) Cowan of Lexington, KY, and Christopher (Amy) Cowan of Clinton, IL; one brother: H. E. "Eddie” Hupp Jr. of Valparaiso, IN; 31 grandchildren; 26 great-grandchildren. She was preceded in death by parents and one brother: Robert E. Hupp. Dorothy was a member of Latham Baptist Church, where she taught Sunday school for many years. She was a 4H leader and was the secretary for the Land of Lincoln Antique Tractor and Engine Club. Services for Dorothy will be 10:00 a.m. Tuesday, March 19, 2019 at the Latham Baptist Church with Rev. Mark Morgan officiating. Visitation will be from 4:00-7:00 p.m. Monday, March 18, 2019 at Fricke-Calvert-Schrader Funeral Home in Mt. Pulaski, IL. Burial at Lake Bank Cemetery will follow the service. Memorials may be made in Dorothy’s name to Latham Baptist Church or Navajo Ministries.